My writing group had their annual holiday party this past week. I’m one of the few writers out there who is somewhat extroverted, so I love going to social events—especially if I can talk about writing and books! The part of the evening that I was most looking forward to were the pitches for the beta reader book club. In 2018, we had our novel-writing small groups, and I was happy to learn that my group members had all finished their manuscripts and were ready to share their books with others. They all made pitches for their novels, and everyone signed up to read the books which they were interested in. I did my best not to sign up for every novel. It was hard. I may have overcommitted myself. I’m not new to beta reading or the beta reading process. I have been fortunate enough to have some great people beta read my books and have also read early versions of other writers' works. 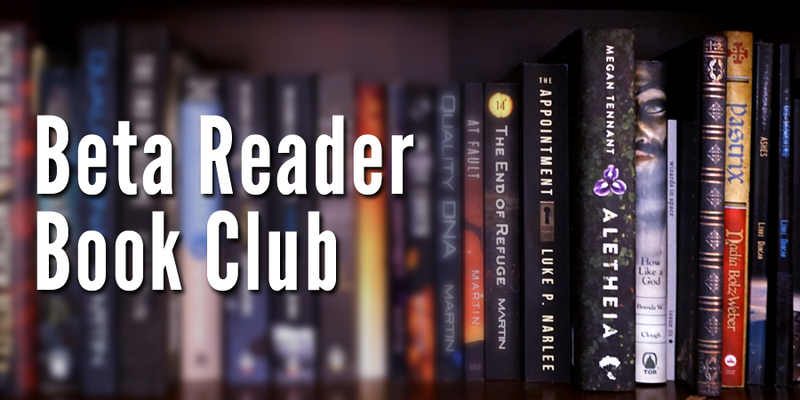 So, what exactly does it mean to be a beta reader? After a writer gets a manuscript as good as they possibly can on their own, they need someone unfamiliar with the work to look through it and point out any holes. Generally, writers are too close to their work to identify parts that may not make sense to readers, and it’s best to have all these issues taken care of before publishing. Beta readers are the people a writer recruits to read their work before sending it along to an editor or agent. These readers can be other writers, friends and family (which I don’t actually recommend), fans of their genre, extra-terestrials, sentient cyborgs etc. Some authors even pay professional readers to go through their manuscripts. And paying someone doesn’t mean they’ll give glowing, sugar-coated feedback—instead, it ascertains that these are individuals who can finish reading and critiquing a book on a strict deadline. While reading the book, a beta reader provides feedback. They should point out anything they find confusing, plot holes and inconsistencies, and parts of the story that they liked, along with sections that need more work. These comments help the author edit their manuscript and get it in its best form. From there, the book is ready for submission to agents and publishers, or for an editor for writers who self-publish. I stumbled upon beta reading when an internet stranger reached out to me suggesting we exchange manuscripts. I enjoyed reading his story about e-sports, while he informed me that the ending of my book sucked (it did). I follow a number of writers on social media, and that’s how I’ve stumbled across every book I’ve had the opportunity to beta read. And although I’ve offered to beta read other people’s work, none have taken me up on it yet. I’m not sure how to become a professional reader other than just being lucky enough to have an author offer you money. Why Would I Want to Beta Read? I do my best to leave a review for every book I read (and I challenge you to do the same), but there’s something fundamentally different between writing a review and providing beta feedback. Once a book is published, it’s pretty static. You can read it and form whatever opinions you want and share them with the world. But no matter what happens, the story isn’t going to change. This is one of the prime reasons I enjoy beta reading. My comments on the story make a difference. All the confusing bits and plot holes I point out gives the author a chance to fix them so the final novel will be even better. And of course, I always feel good about helping a fellow writer out. Other than encouraging you to beta read a novel if the opportunity arises, I also wanted to share all of this to let everyone know that if I post fewer book reviews, it’s not because I’m not reading anything, but instead because I’m reading cool stuff that hasn't been published yet. I know I haven’t touched on beta reading from a writer's perspective, but that’s a topic for another post. Great post! Beta readers are God's gift to writers. I've learned so much from mine, and pretty much worship the ground they walk on.